This was dessert for our roller derby tailgate party Saturday. I was (and remain) floored. FLOORED. Comic progress: I just finished inking page four, capping two consecutive pages with crowd scenes. The next pages should fly by. If you saw the ad in the Blue Ridge Rollergirl's August 25 program, howdy and thanks for stopping by. 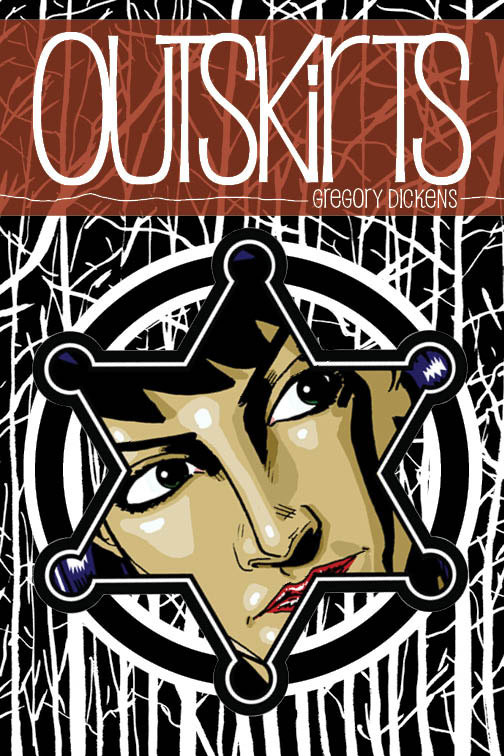 We have a comic debuting Oct. 13 at the brand new Asheville Comic Expo. 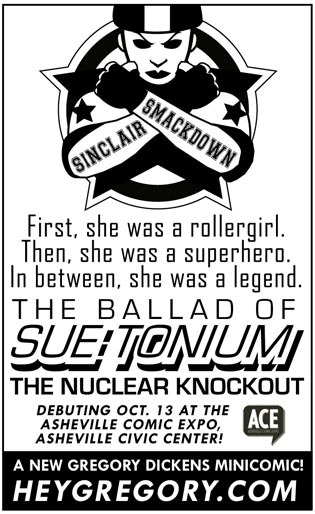 The Ballad of Sue Tonium is a love letter to roller derby, especially Asheville's own All-Star squad, French Broads, and Junior Divas. My friends and I caught a few bouts of the Blue Ridge team in their early days and were hooked. 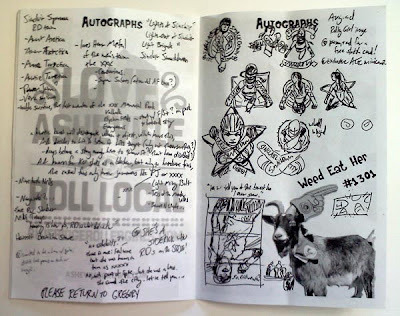 I entered and won the French Broads logo design contest two years back, and the thrill of seeing the rollergirls sport my artwork as they whup up on people has never diminished. It's sport with attitude and addictive to watch. 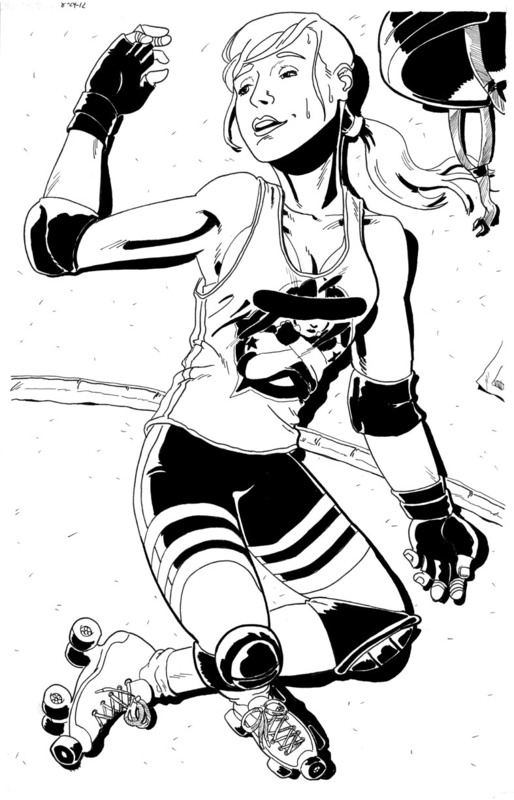 The rollergirl personas make for easy transitions to the traditional superhero comic book. And here we are. These are the notes I took at the last bout in July when inspiration struck.You can see the development of the Sinclair Smackdown logo on the right-hand page. 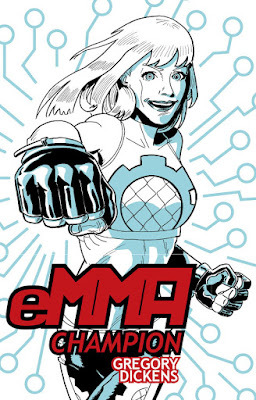 The Ballad of Sue Tonium will be a 5.5 x 8.5 mini comic in the same format as our eMMA, the Electronic Mixed Martial Artist comic from 2011. 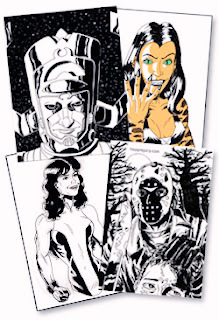 Samples of that comic and others can be seen (AND BOUGHT!) at our Robot Wonderboy page. The comic is scheduled to debut the second Saturday of October at Asheville's newest comic convention and will be priced at $2. The comic will also be available through the Robot Wonderboy page soon after that weekend. See our heroine's origin story! See her legend from the ground floor! 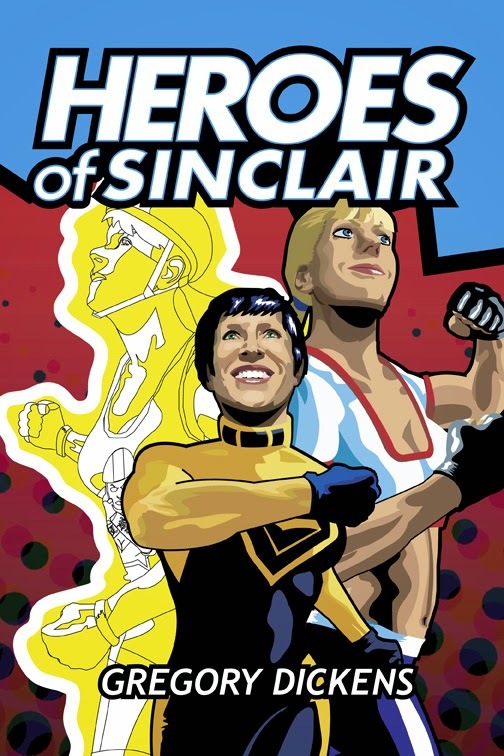 Meet the other members of the Sinclair Smackdown and watch the heroes of Sinclair defend their city! Here's page two without the text. Check back here often for more page previews and design sneak peaks.